Aging refers to the physiological changes that occur in the human body from the attainment of adulthood, and ending in death. These changes involve a decline of biological functions, and are accompanied by psychological, behavioural, and other changes. Some of these changes are quite obvious, while others are subtle. Bones undergo a lifelong process of remodeling – mature bone tissue is removed and new bone tissue is formed. Bone remodeling is a highly regulated process that maintains a balance between bone resorption and formation, thus maintaining skeletal integrity. This balance changes with increasing age, resulting in loss of bone tissue. The ageing bone has reduced mineral content, and is prone to osteoporosis – a condition in which bones are less dense, more fragile, and prone to fractures. 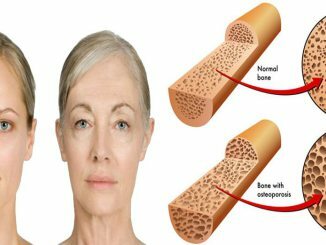 As people age the rate of bone resorption by osteoclast cells (multinucleated cells which contain mitochondria and lysosomes that is responsible for bone resorption) exceeds the rate of bone formation so bone weaken. Osteoporosis is a common problem among older people, especially post-menopausal women, and is a major cause of hip fractures in the elderly. Reduced bone density of the vertebrae, combined with the loss of fluid in intervertebral discs, result in a curved and shortened trunk. This reduced bone density, and resulting poor posture, leads to pain, reduced mobility, and other musculoskeletal problems. Joint motion becomes more restricted and flexibility decreases with age because of changes in tendons and ligaments. 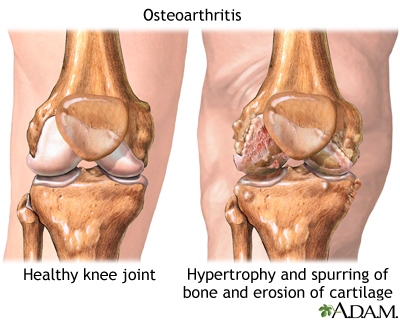 As the cushioning cartilage begins to break down from a lifetime of use, joints become inflamed and arthritic. A healthy diet, including adequate dosage of Vitamin D and Calcium, is also useful for preserving bone mass. Get a medical check-up before you begin a moderate to vigorous exercise program, particularly if you are older than 40, if you have medical problems, or if you have not exercised previously. Eat and drink appropriately. Don’t eat for two hours before you exercise, but drink plenty of water before, during, and after exercise, particularly in warm weather. Warm up before you exercise and cool down afterward. Dress simply, aiming for comfort, convenience, and safety rather than style. Use good equipment, especially good shoes. Listen to your body. Learn warning signals of heart disease, including chest pain or pressure, disproportionate shortness of breath, fatigue, or sweating, erratic pulse, lightheadedness, or even indigestion. Do not ignore aches and pains that may signify injury; early treatment can often prevent more serious problems. Do not exercise if you are feverish or ill. Work yourself back into shape gradually after a layoff, particularly after illness or injury. ↑ Hadjidakis DJ, Androulakis II. Bone Remodeling. Ann N Y Acad Sci. 2006 Dec;1092:385-96.